We are a manufacturer and exporter of Engineering components made of Rubber Molded & Extruded, as well as plastics metal and composites. We offer the widest range, fastest deliveries at the lowest prices. 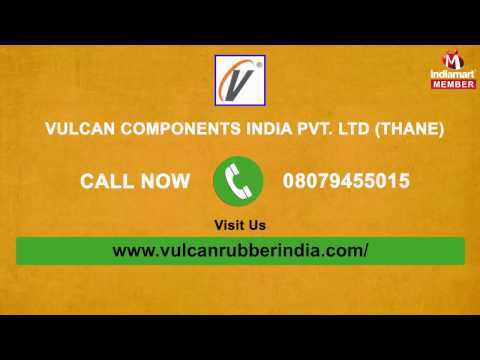 Vulcan Components India Pvt. 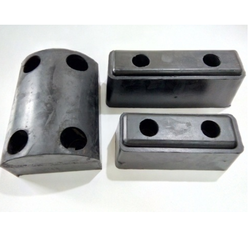 Ltd. is leading Manufacturer and Exporter, of Rubber, Metal, Plastic and Composite components for Industrial consumers. Along with our associate Companies, our manufacturing and exporting activities started in 2005. Established, owned and managed by Manufacturing professionals, our core competencies are in the design, development, prototyping and manufacturing of small and medium runs at optimum cost and speed, for the appropriate specification and quality levels. Our range of products includes components for Earth moving equipment, Truck and Coach building, Warehousing and logistics, Conveyors and material handling, 4x4/RV accessories, etc. Over 90% of our Sales by volume and value are exported to US, UK, European and Australian markets. 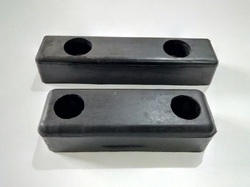 Warehousing Consumables like Dock Bumpers, Speed bumps, Coner/wall Guards, Hose Ramps, Wheel guides, wheel Chocks etc..
Truck and Coach building parts in Rubber and metal. 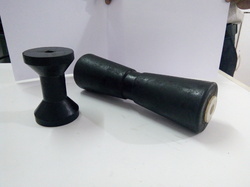 Rubber buffers, Bumpers, mounts, spacers, extruded profiles etc..
We are engaged in offering Rubber Boat Rollers to our clients. 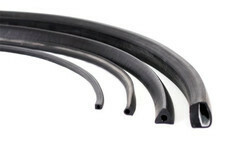 We are offering Rubber Extruded Profile Goods to our client.